It took a television news segment a few weeks ago to inform yours truly that Hyundai was revealing a new, smaller sedan from its Genesis luxury brand at the 2018 LA Auto Show. “I’ve gotz to drive me one-uh dem G70s,” I told myself–and then promptly forgot until I was recently contacted with an offer to try one-uh dem out. 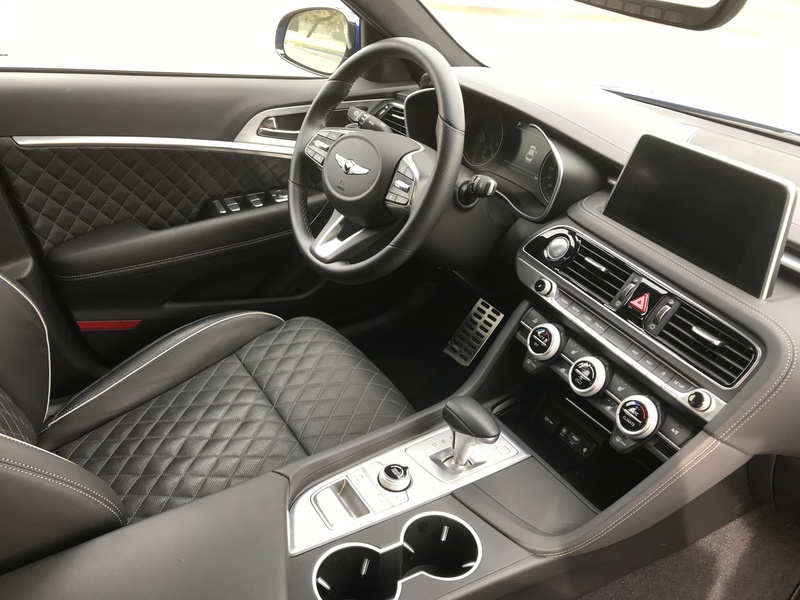 However, even before the late fall auto show, praise was generously heaped on the third of six new Genesis models slated to debut by 2021, Hyundai’s first Genesis in the highly competitive entry-level luxury segment (that the BMW 3 Series also occupies) as well as the final sedan of the South Korean automaker’s Genesis lineup. And then came the biggies, announced during the LA Auto Show: 2019 Motor Trend Car of the Year, Car and Driver 10Best award winner (a first for a Genesis), Hispanic Motor Press “Best Deluxe Car” winner and a finalist for the North American Car of the Year. 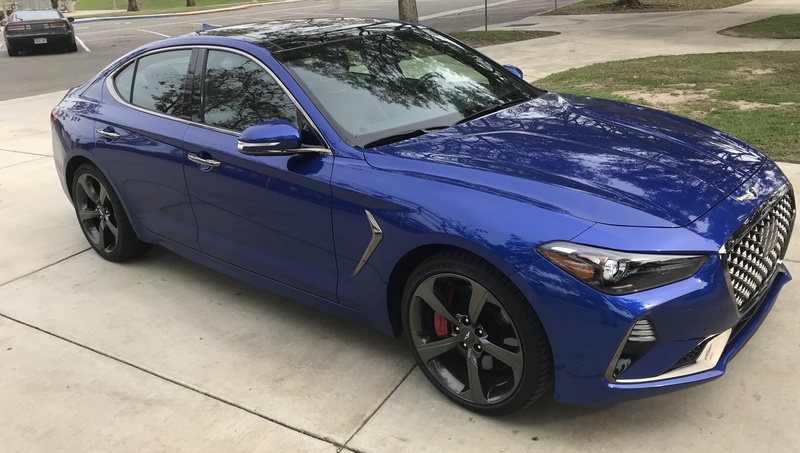 While a Mallorca Blue G70 RWD 3.3T Sport was darkening my driveway, the Insurance Institute for Highway Safety was naming the entire Genesis model line, including the G70, a 2019 IIHS Top Safety Pick (with a caveat that the G80 had to be equipped with specific headlights). From a wheel-y big luxury sport sedan playa. What’s really embarrassing is my Fountain Valley office is near the Hyundai North American headquarters that was promptly trumpeting all the G70 achievements. No longer possessing the element of surprise when it came to reviewing the already-much-gabbed-about four-door, I nonetheless was excited to climb behind the wheel because whatever goodness was produced would still be new to me. 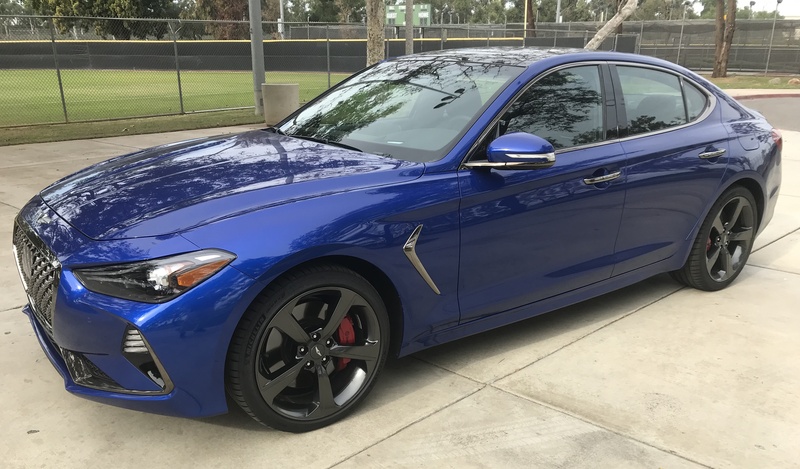 The first sign I was in something special came when I turned off of my street and gave the rear-wheel drive G70 a little gas. The takeoff was so much smoother than it had been in the last few vehicles I had driven (most especially the family SUV). For my daily commute, I pull onto a major boulevard and must immediately get over to the far left lane as not to miss a critical turn. It did not take much coaxing with the G70’s accelerator pedal to immediately move to the pole position among a pack of stop-and-go vehicles. A few seconds later, while still in normal driving mode on an otherwise deserted on-ramp, I put the pedal to the metal for shits and giggles. It was as if I’d launched a rocket. An umbrella, two canvas shopping bags and, uh, more fit in the trunk. Being smaller, the G70 handled better while taking curves fast than did the mid-size G80 I test drove last March and the full-size G90 I sampled the spring before that. 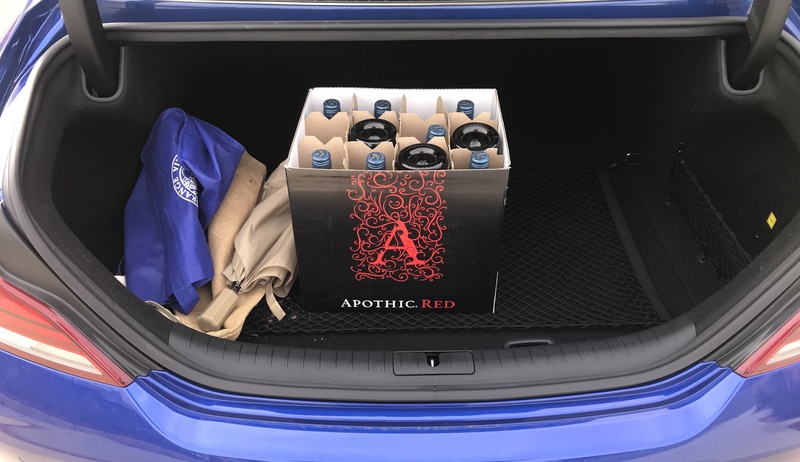 And yet, I did not feel more cramped in the G70 driver’s seat (nor did any of my passengers complain about the same), and there still seemed to be plenty of room in the trunk. Fully loaded but relatively affordable luxury found here. Then there is the cost. Hyundai boasts that G70s start at a relatively affordable $34,900. However, my test ride had a base manufacturer’s suggested retail price of $43,750, plus extras and fees that took the total up to $50,495. Of course, there are many opportunities out there to spend much more than 50 grand for fully-loaded luxury. Coming standard on my test vehicle were alloy wheels, premium braking, assorted airbags, driver-warning systems, LED lights and signals, power-folding thises and thats, a sport-turned suspension, a limited-slip differential, dual muffler exhaust and that sweet 3.3-liter, six-cylinder, turbo engine with eight-speed automatic transmission. Premium audio and touchscreen navigation systems as well as generous Hyundai warranties are also standard. The bump-up in price on my test ride are attributable to three packages of extras. The $1,500 Sport Package includes electronically controlled suspension, 19-inch alloy wheels with Michelin summer tires, dark tint taillight covers, dark chrome grille and window trim, copper headlight bezel accent and black Nappa leather seating surfaces with sport quilting. The $1,750 Elite Package includes a wide sunroof, low-beam assist, rain-sensing wipers, parking-distance warning and a wireless charging pad. And the $2,500 Elite Package features a heads-up display, surround-view monitor, microfiber suede headliner and heated rear seats to match what is standard on the fronts (that are also ventilated). Can’t wait to see what’s coming from Genesis at next fall’s auto show. The coolest car no consumer can currently get in California. But they’ll ship you one from Nevada, where they’ve had them for two months. Wow! Never been inside one 🙁 . Looks comfy and luxurious. Is that Brembo pads? 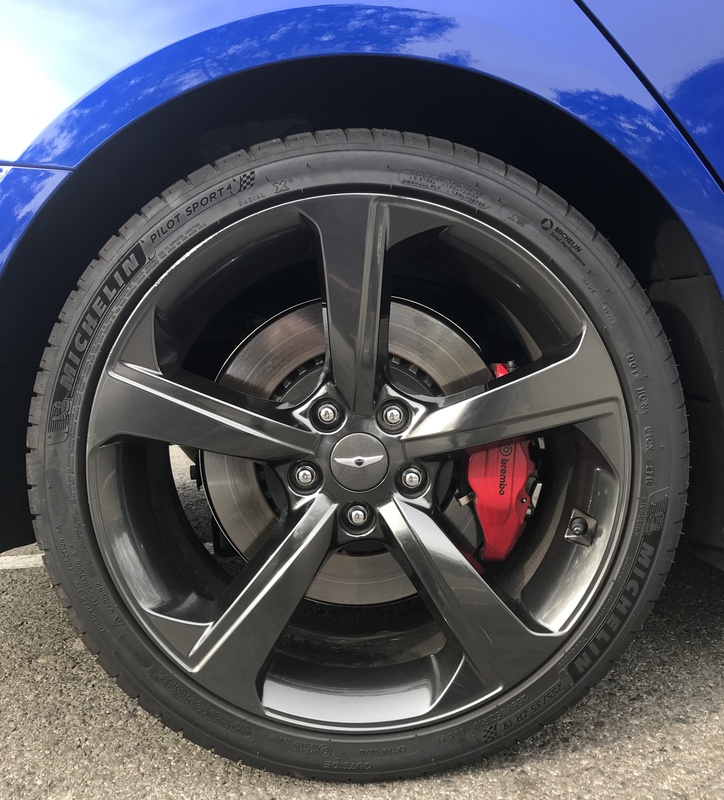 Indeed, the G70 sport does include Brembo brakes; I should have mentioned that in the review.